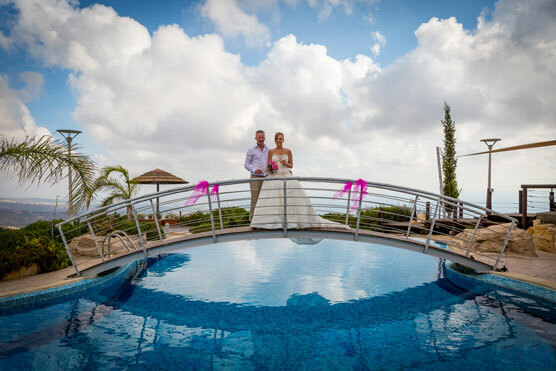 Panorama and Oceania Villas are two of luxurious and popular villas in western Cyprus, where the closest town, Paphos, is a cosmopolitan resort with historic and ancient sites providing a perfect destination for weddings at any time of the year. Whether you are a sun-seeker,a romantic couple seeking an ideal wedding destination, or just looking for a place where you can spend a relaxing holidays with your loved ones then the area around Paphos delivers beautiful countryside, and all the necessary facilities for a wonderful visit. 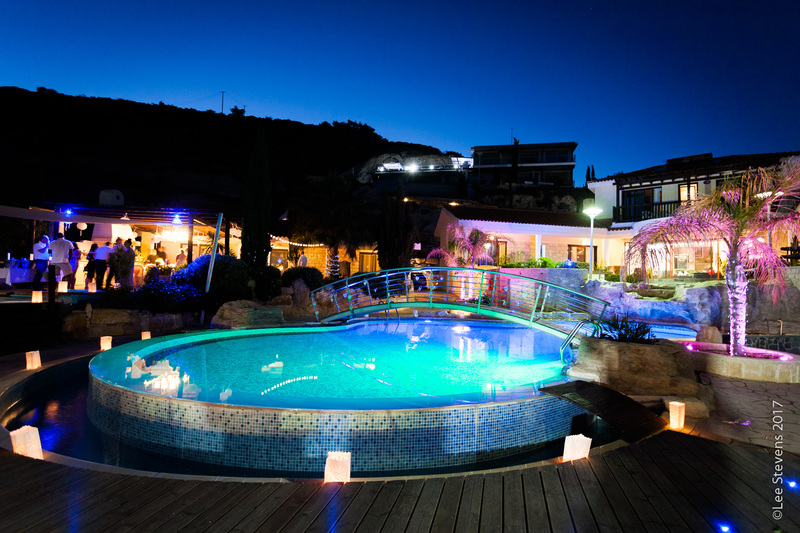 Panorama Wedding Cyprus Villas, is the legal owner of those villas allowing guests to rent them in affordable price directly from the owners. Additionally, we are able to offer you exclusive wedding packages or bespoke wedding services so that you can plan your unique and memorable wedding. 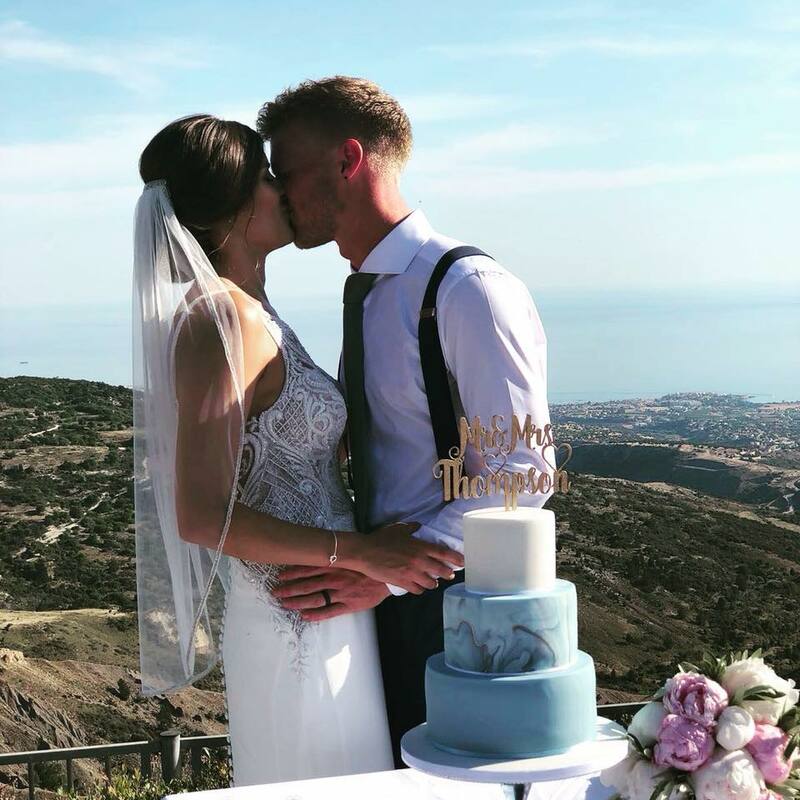 Panorama and Oceania Villas at Peyia Hills are considered to be the most luxurious holiday and wedding villas resorts in Paphos and have been chosen as wedding venues for many couples throughout the years. Both villas can accommodate a large wedding reception group of 100 people in total of guests; 60 guests at Panorama Villa and 40 guests at Oceania Villa. These two luxury wedding villas are located in a private area and offer a beautiful and romantic scenery, well maintained gardens, majestic swimming pools and large exterior areas with barbecue facilities, to hold your wedding ceremony and wedding reception. You are free to organize your wedding reception and wedding party gatherings at any of the outdoor areas around the majestic pools. Experience the cosy atmosphere within the large garden areas of the villas, building up a pleasant environment for your ceremony; the ideal place to transform your wedding dream into a beautiful real wedding experience at our villas. Our professional Wedding Planner Team with more than fifteen years of experience are able to offer you exclusive and high quality Wedding Services by bringing together your wedding requirements and make your wedding day memorable. 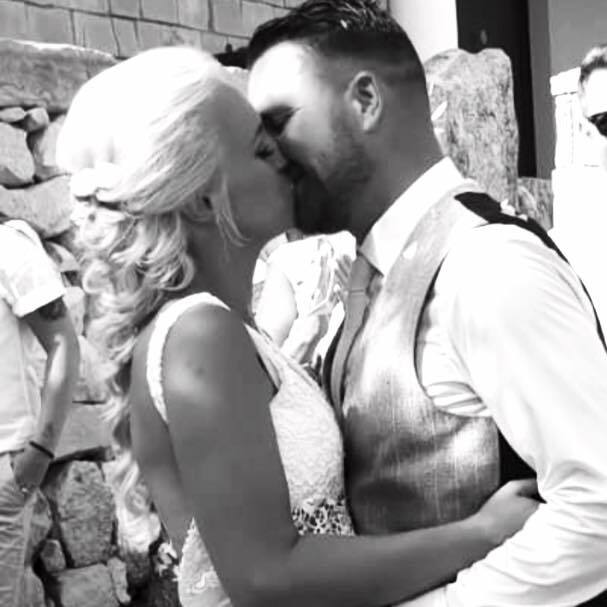 Our planners of Panorama Wedding Services with high standard communication skills are specialised to organise your wedding ceremony or party, at some of the finest villas in Paphos, Panorama and Oceania Villas. To achieve the perfect dream wedding for you, they take care of every detail, providing you with luxury and exclusive packages which include, marriage license, wedding catering services, decoration of the villa, flower arrangements, hairstylists and beauticians, professional photographers wedding cakes creation and more. Our exclusive Bespoke Planning , allows you the freedom to make the choices yourself and mix and match wedding packages according your requirements. For more details see Exclusive Wedding Packages and Bespoke Package. 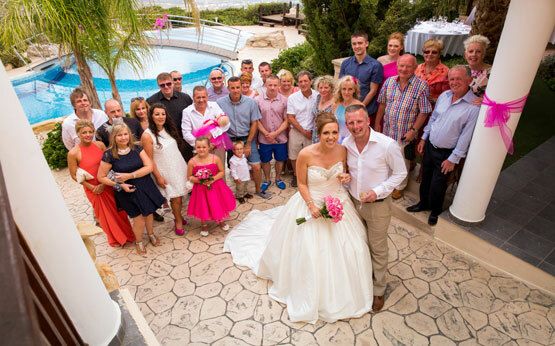 Stayed in Oceania with family and friends before my wedding in Cyprus and it was just perfect. All my guests loved it and the pool is amazing. Poly and Sevinos the owners are great and will help with anything you need…they can advise on great restaurants to eat at and book taxis for you with a reputable company. Would definitely stay again. Are you getting married in 2109? Is one of your life’s beautiful moments arriving soon? 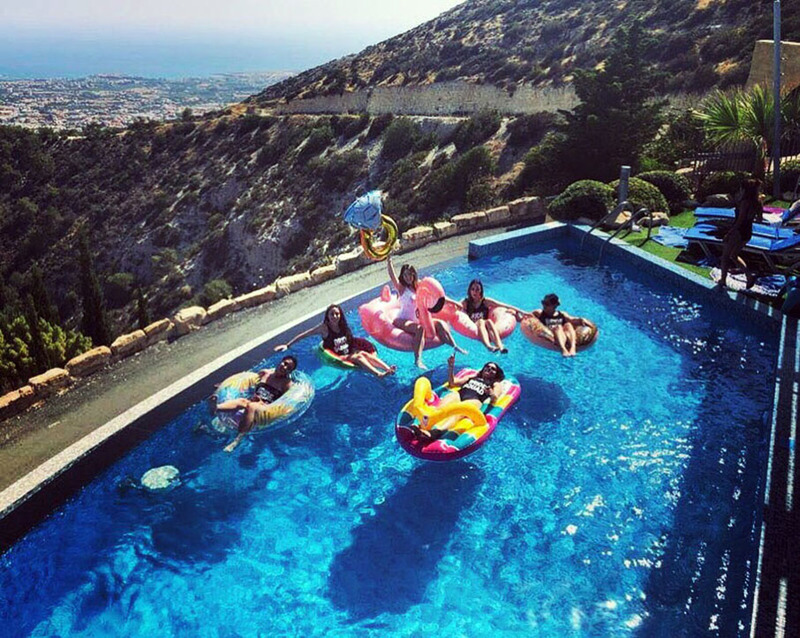 Well, for the ultimate luxury and privacy that you can give as a wedding present to you and to your significant other, consider of renting one of the exclusive villas with private pool and Jacuzzi in Peyia Hills-Paphos. 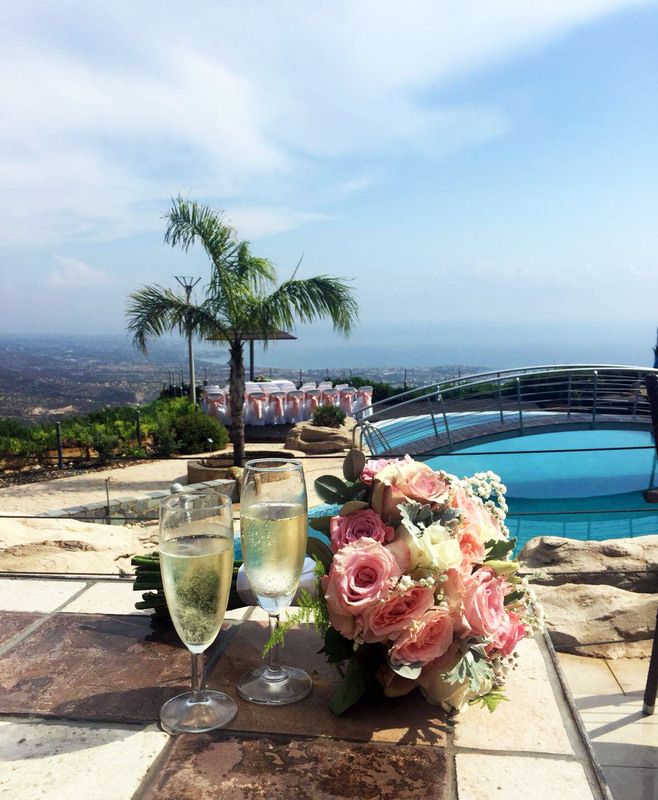 Imagine saying “I Do” in a wedding venue with a panoramic costal view, either under the stars or in a sunny warm daylight and later, continue your celebration with family and friends at the transformed outdoors venue of the magnificent villas. These luxury private villas to rent in Cyprus can be booked directly from the owner with low deposit schemes. Book the villas from the owner’s exclusive website and benefit from the discount prices, the various wedding packages that you can choose from and the exclusive wedding services that the owner has to offer. 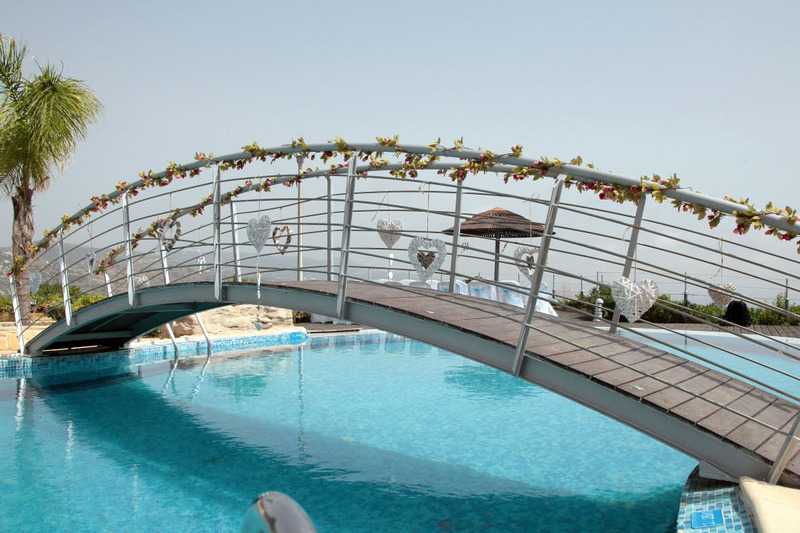 Panorama Wedding Cyprus Villas is the legal owner of these stunning wedding villas. The popularity of the luxury holiday villas has risen greatly through the years because of their elegant environment and the amazing views, able to meet the highest standards for your big day. Both villas are designed by the villa owner, a Cypriot architect who adopted his architectural knowledge in Lion, France having in mind perfection and a vision of greatness. 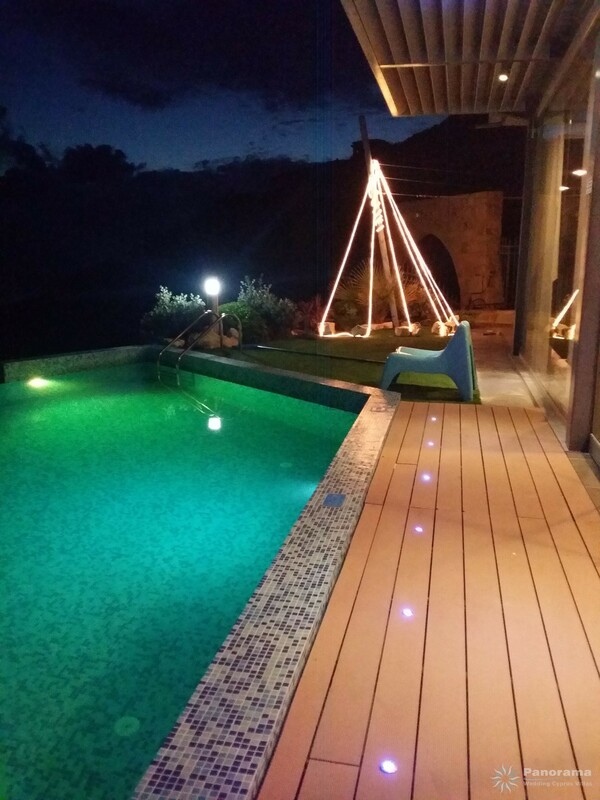 The owner gave his best effort in every single detail, in order for the villas to become one of the best luxurious rental places in Cyprus and accommodate the best wedding ceremonies and receptions. Each of the luxury villas presented below are ideal for an intimate affair offering stunning views, complete privacy and a great choice for luxury accommodation, a beautiful wedding ceremony and an amazing reception to be followed. Panorama and Oceania villas are ideal for holidays of big families and especially for wedding ceremonies and receptions, since they were designed in such a way that the ceremony and reception can take place within the grounds of the villas. 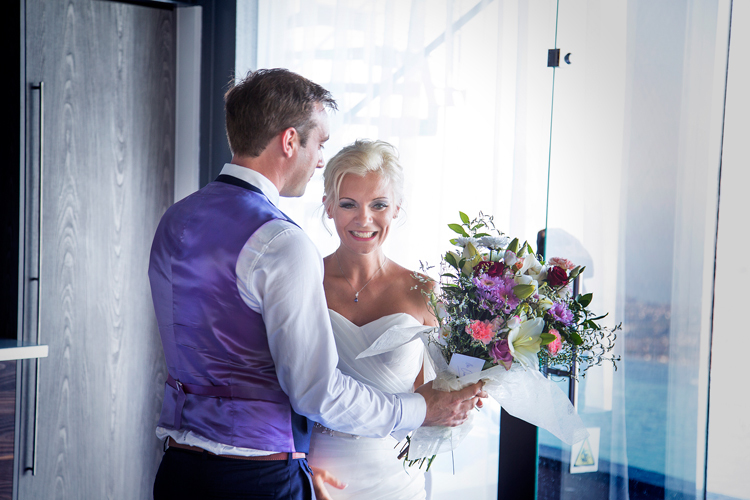 The outside stunning panoramic views can create the venue into a romantic evening for the wedding ceremony. For every individual and every couple, the wedding ceremony as well as the entire wedding day is one of the most important things in life. With so many interesting options available, sometimes it is very hard to make the final choice regarding what is the best for you and for your dream wedding. 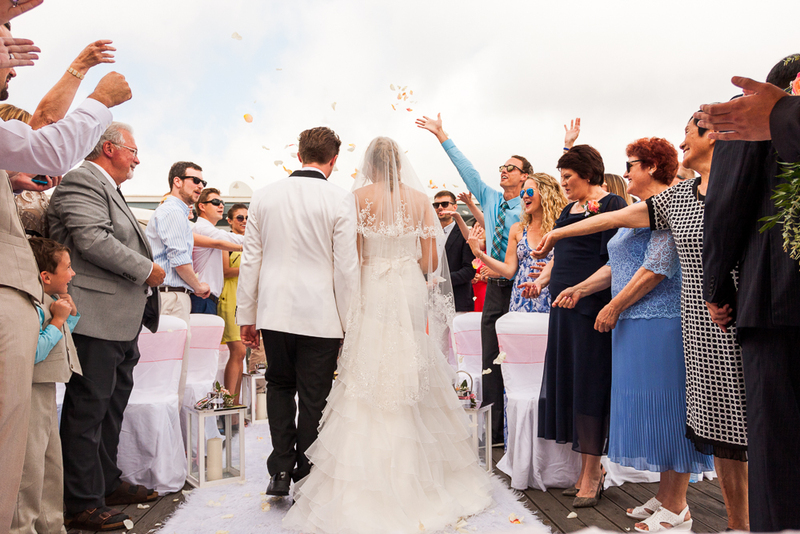 If you want to have an exceptional wedding like no other, then you may consider having a Cypriot wedding. As one of the most beautiful destinations for spending your vacations, Paphos and Cyprus in general, has so much to offer. It is the perfect place to have a destination wedding and say “I Do” to your significant other. 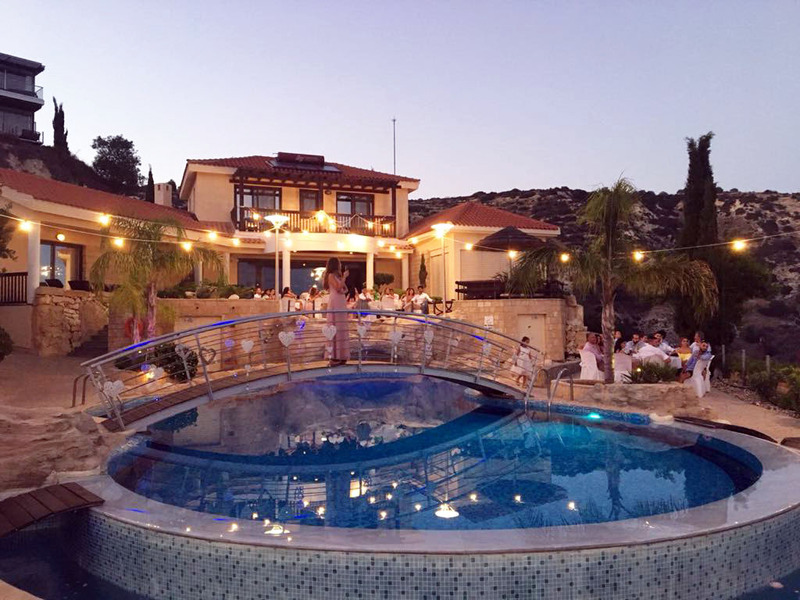 Many astonishing wedding villas for rent are available in Cyprus, to choose from and without any doubt, you will find the most wonderful wedding venues for your special day. Villa Panorama and Oceania Villa are among these beautiful and astonishing villas that the island of Aphrodite, goddess of love, can offer. Poseidonia is a brand new beautifully designed villa with a touch of warm Cypriot architecture crossed with a contemporary finish. Nestled amongst nature's coastal bounty, plenty of trees and a blooming garden, this modern, luxury villa right in the center of the city is a true heaven of tranquility.